Buffalo Bill and his troupe of cowboys and Indians have returned to the scene of their triumphs in the Jubilee year. 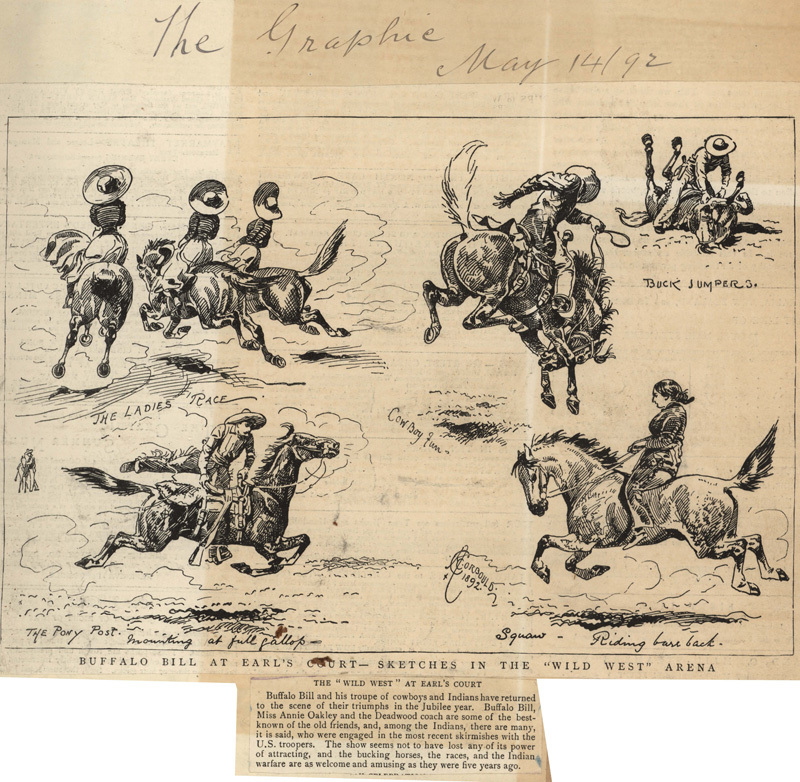 Buffalo Bill, Miss Annie Oakley and the Deadwood coach are some of the best-known of the old friends, and, among the Indians, there are many, it is said, who were engaged in the most recent skirmishes with the U.S. troopers. 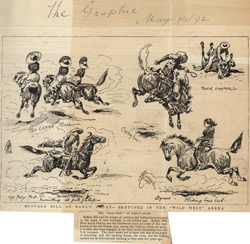 The show seems not to have lost any of its power of attracting, and the bucking horses, the races, and the Indian warfare are as welcome and amusing as they were five years ago. Note: Alfred Chantrey Corbould; b. July 13, 1852, Kensington; d. Mar. [sic] 25, 1920; author and illustrator; celebrated for his drawings of hunting and other sporting scenes; exhibitor at the Royal Academy; on staff of "Punch", 1871-1890.